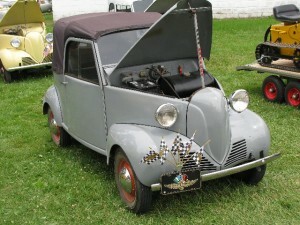 Just one week after completing my Crosley Express Dairy Deliery we packed it up and headed for the Crosley Nationals. 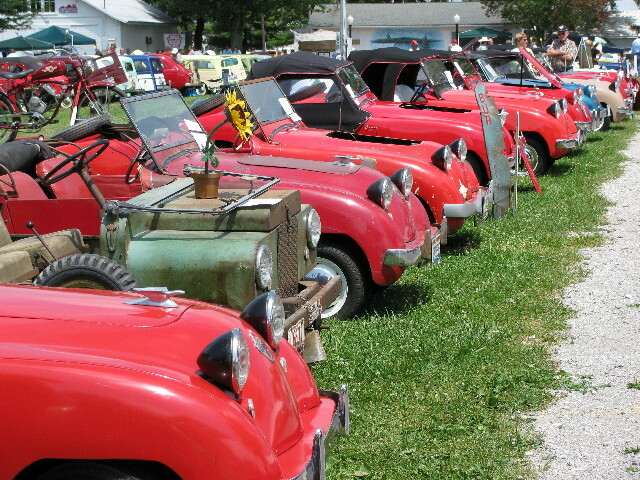 The Nationals were held on July 9, 10 and 11 in Wauseon, Ohio. 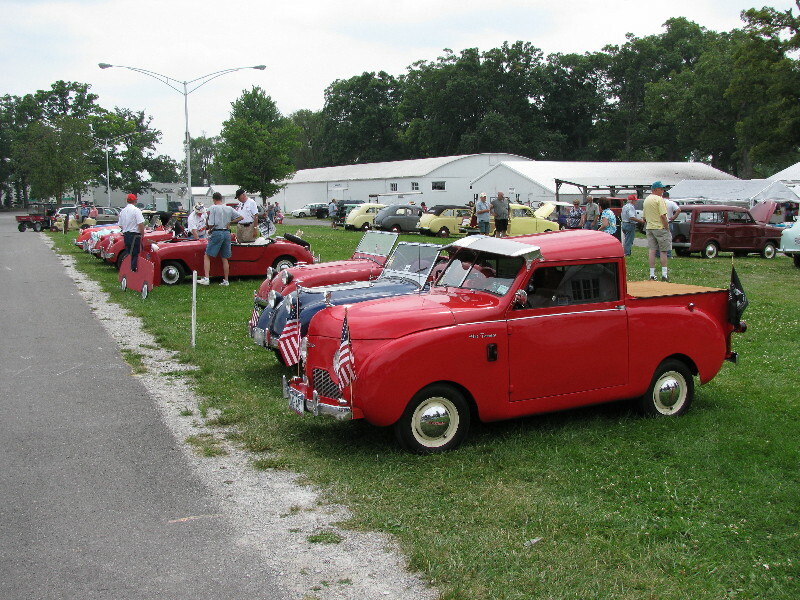 This annual event brings together the best examples of Crosley automobiles from throughout the country. As first time attendees, we were welcomed to the community of Crosley enthusiasts and immersed ourselves in the culture for the weekend. 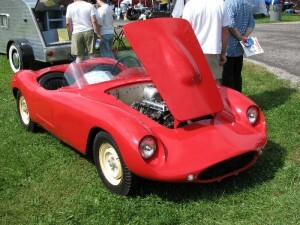 The show entrants included over 50 of the best examples of Crosley models including prewar models, sedans, convertibles, pickups, sports models as well as special bodied models and race cars. The prewar class was filled with beautiful examples of these rarely seen 2 cylinder air cooled automobiles. The modified and special bodied class included this beautiful and sleek bodied Devin roadster. 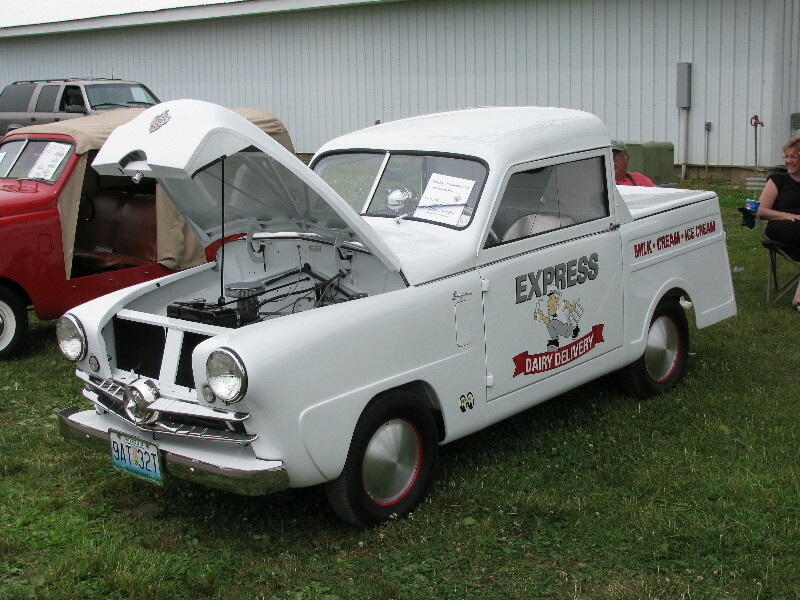 Crosley pickups were always versitile vehicles. 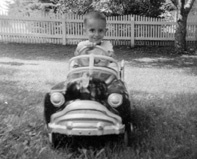 My pickup was half commercial delivery truck and half race car. After much deliberation we elected to enter my newly finished pickup in the Commercial Class. The competition was stiff, but “The Express” brought home its first show win at The Nationals. Special Thanks to Tim Freshley for two and a half years of hard work, vision and advice on this project. Without you this National Champion would not exist.